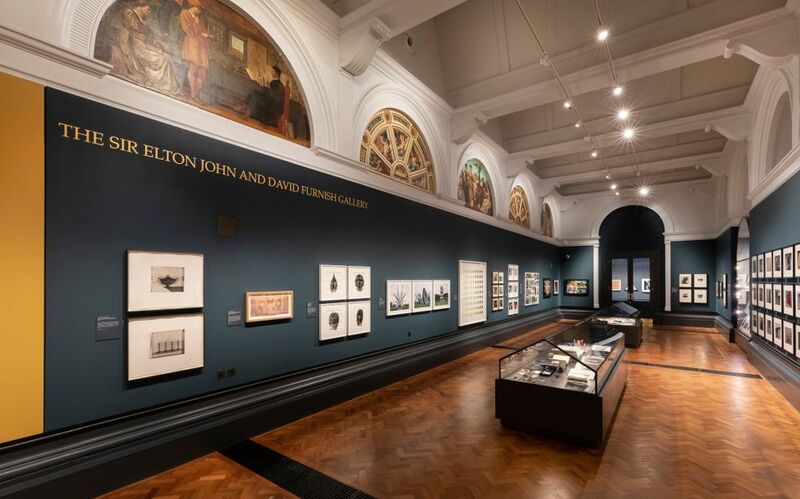 A room in the newly opened photography centre at the Victoria and Albert Museum (V&A) in London will be renamed The Sir Elton John and David Furnish Gallery after the singer and his husband made a donation to the museum. “The figure is confidential. However, it is a significant donation,” a V&A spokeswoman says. The move heralds a new long-term partnership between the museum and the couple in the field of photography, encompassing a “major co-curated temporary exhibition”, according to a project statement. “With a focus on the contemporary, the collaboration will offer opportunities to bring together highlights from the V&A’s world-leading photographycollection of over 800,000 photographs, alongside The Sir Elton John photography collection, one of the greatest private photography collections in the world,” the statement adds. The new photography centre, which launched last October, will be expanded in 2022, doubling the space of the existing centre. In 2016, a selection of works from Elton John’s 7,000-strong photography collection was shown at Tate Modern in the show The Radical Eye. The exhibition included works by Tina Modotti, Dorothea Lange and Brassai, among others. Artists such as Cindy Sherman, Alec Soth and Man Ray are also represented in the collection. The pop star also loaned works to the 2014 exhibition Horst: Photographer of Style at the V&A.